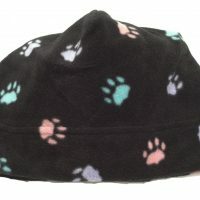 This fun-loving hat and gloves set is made of soft black fleece with a paw print pattern. 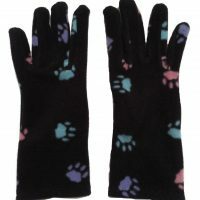 The hat will keep you warm on chilly days, and the gloves also help protect your hands from leash and sun damage. Soft and cozy, this fanciful hat and gloves set will add warmth and fun to your cold days.